About Us>Why Vanson> What Makes a Vanson a Vanson? 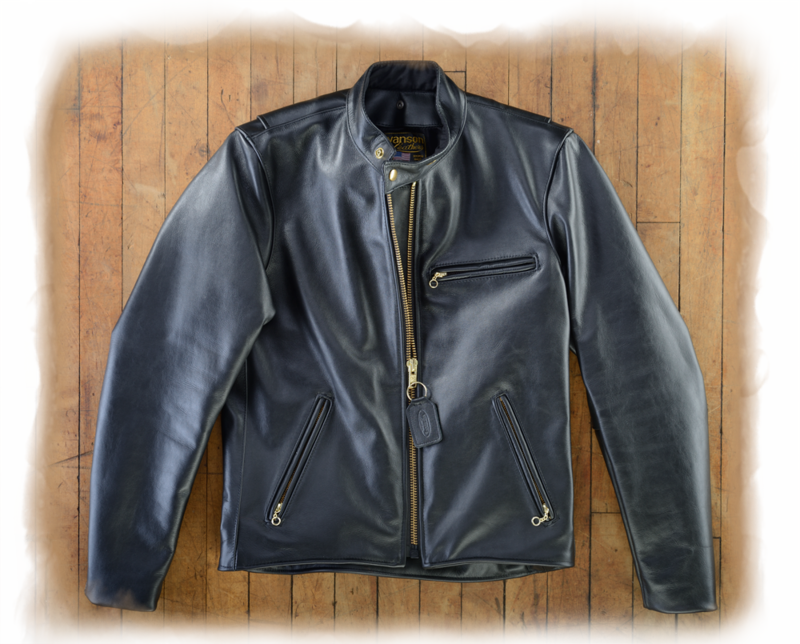 So when Vanson built its first bike jacket back in 1974 with an eye toward improved performance and enhanced comfort, we looked back first to acknowledge the legacy. It’s naïve, after all, to think that one can have a clear vision of what could be without putting it into historical perspective. Rare and Unique. We make a limited number of items with profound respect for our hand craftsmanship and your pride of ownership. Vanson specializes in personal-fit, custom-sized and graphically-designed garments to reflect the character that is uniquely yours. Fit is never a problem when your Vanson is made to order and tailor-fit to your body shape. If you want to make a statement with bold or subtle graphics, Vanson can create virtually any interpretation of your design idea in leather. Anti-wear inner wrist cuffs - protect the lining from hanging out past the sleeve ends and keep the lining away from chafe and wear at heavy contact points. Unlined wrist zipper gussets - to fold away to almost nothing when the zipper is closed. These keep the wrists slim, yet comfortable - not bulky and restrictive like other jackets. Full facings around the lining – so that all the contact points are protected. Linings have lasted 40 years. Inside pockets with leather edges anchored to the facing - so the lining is not stressed even when the pockets are overloaded. Leather backers behind the pocket zippers - help to seal against the wind and prevent wear. Exterior pocket zippers close downwards - so if the sliders move when being buffeted by the wind, the pockets close – instead of opening. Help keep contents where they belong. Snap-back collar - so the collar end can be secured from flapping in the wind when riding. Cloth-lined mandarin collar - to reduce bulk and avoid chafing your neck when closed. Each unit is numbered. We track ownership, service and alterations for every item. Our Unique Unit Number Registry has helped verify ownership and recover missing garments. Renewable. By design. No throwaway products here. No planned obsolescence. Vanson products are built to last a lifetime, and beyond. All of our products can be serviced, reconditioned and rebuilt, as needed. All patterns and service notes are retained and allow us to rebuild or duplicate any part or all of a garment. Innovation - because the quest for excellence never ends. We try to set new standards with every new Vanson product. Many of our design and performance enhancements have been recognized by the U.S. Patent Office as unique and are patented. Track-tested performance=the key criteria. Motorcycle racing provides the ideal proving ground for new Vanson products. If it can withstand the punishing rigors of a racetrack, it will provide years of reliability on the street. 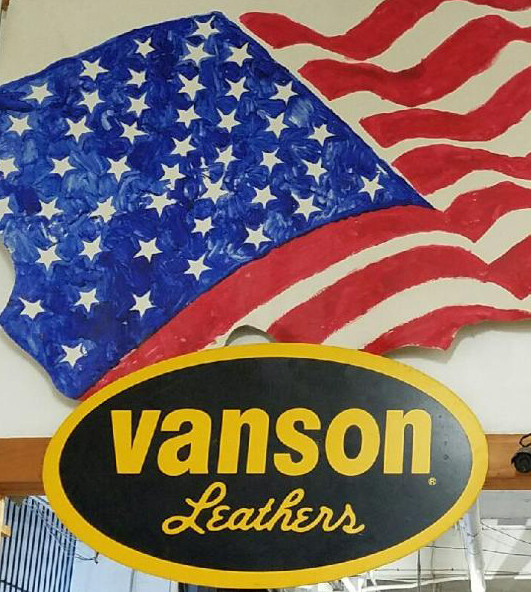 That’s why many of the world’s top riders and club racers swear by Vanson Leathers. Excellence, Quality. Innovation. Craftsmanship. Styling. Performance. Protection. Value. No Compromises. Customer Preference and Brand Loyalty. That’s what makes a Vanson a Vanson.